Ankle weights can be used to add resistance to your abdominals, improve your strength, and help you to break plateaus. One of the common mistakes I see in the gym, is a person slaving away doing hundreds and hundreds of ab crunches. Some people have a 15- 20 minute ab workout routine that they do religiously at the end of every workout. 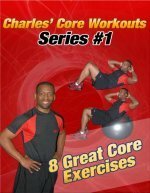 Now, don't get me wrong, having a 15-20 minute core workout routine is not a bad thing. But for most people their core workout routine is just simply not as efficient as it could be. If your goal is to continually make progress, and improve your fitness, strength, and stability, then you need to have a dynamic core program that is progressive. If you finish your ab workout and don't feel fatigued then you need to find a way to increase the challenge to your abdominal muscles. Adding resistance is a great way to increase the challenge on your ab muscles. You can add resistance to the upper body by using dumbbells or you can add resistance to the lower body with ankle weights. Ankle weights should be used with caution. Anytime you move your legs during ab exercises you also increase the challenge on your lower back. And if you add weight to your legs this will further increase the challenge on your lower back (see article on hip flexors/ leg raises and lower back pain). If you cannot perform the exercises, with correct form and no back pain without weights, then you should not progress to adding weights to your ankles. Runners, athletes, bodybuilders, and highly active individuals would likely be the groups that would benefit most from adding resistance with weights. Seniors, people with sedentary jobs, and people with back pain should use caution when adding resistance to their legs. Here are a few ab exercises that you can perform with ankle weights. Starting Position: Wrap the ankle weights around your legs and secure them in place. Lie on your back with your feet off the floor and your hands at your sides. Form: Move from your lower body, bringing your knees towards your chest. Lift your pelvis off the ground as your curl your spine towards your head. Hold for 1 second and slowly lower to the starting position. Personal Trainer Tips: The secret to this move is lifting your tailbone off the floor. Use your hands to help stabilize your body. As you master this move, use your hands only for light support. Starting Position: Wrap the weights around your legs and secure them in place. Lie on your back, with your hands at your side or just under your buttocks. Form: Keeping your knees slightly bent, lift your legs straight in the air. Keep your back flat against the floor throughout the movement, especially as you lower your legs. Keep tension on your abs by not lowering all the way to the floor. Personal Trainer Tips: The lower you extend your legs the more challenging this exercise is for the ab muscles and lower back. Use your ab muscles to keep your back from arching or simply do not lower your legs as close to the ground. Personal Trainer Tips: Keeping your shoulders lifted off the floor keeps more tension on the abs and works them harder. Increase the weights slowly begin with 1 pound and progress from there. Ankle Weights are a versatile piece of exercise equipment, but remember to only proceed once you've mastered the easier versions of the exercises. You can add ankle weights to any exercise that requires movement of the legs. Again, remember that any time you move your legs during ab exercises you increase the challenge on your lower back, and if you add resistance to your legs that further increases the challenge to your back. If you are very active and strong, weights can help you to further increase your strength and break through plateaus. If you don't have weights, it's all good. Check out the Pictures Directory of Ab Exercises to learn all the ab exercises on this site. In addition, check out all the lower back exercises on the site in the Lower Back Exercise Picture Directory. Best Home Gyms - Reviews and Buying Guide - Find the best home gyms for your workouts. We review quality home fitness and exercise equipment from top manufacturers.